Okay gang. It is time (deep breath of excitement) for the THIRD installment of my PODCAST guides! Over the past 18 months, I have become a total Podcast convert – and at your request, I wrote not one, but TWO guides to share my favourite Podcast hosts and series to listen to. Of course, the beauty of my Podcast obsession is that is a continuous journey of discovery, and I’m always finding new series to check out, through those I follow on social media or recommendations you guys give me! I absolutely love Podcasts. They are my ‘go to’ when I’m heading out for a walk or even a run sometimes, and I have several that I keep up to date with each week. Tuning into a Podcast episode allows me to listen and learn WHILE going from A to B, exercising, recipe creating, you name it! They’ve opened my mind and educated me in so many ways on so many topics, both health and wellness related and then outside of that sphere! I also feel like Podcasts are everywhere nowadays, and while it can seem like everyone is recording one, I don’t think that’s in any way a bad thing. In fact, it just means you have so many choices to cultivate your favourite hosts and series to follow! My favourite type of Podcasts are those in the health and wellness arena (predictable right!) but you’ll see below my latest list isn’t exclusively that. This third part to my guides includes a range of Podcasts I have been following regularly this year, and particularly since Spring. I hope you enjoy them as much as I do! Oh my gosh, where to start with this girl. She. Is. KILLING. It. In the most positive, inspiring way possible. 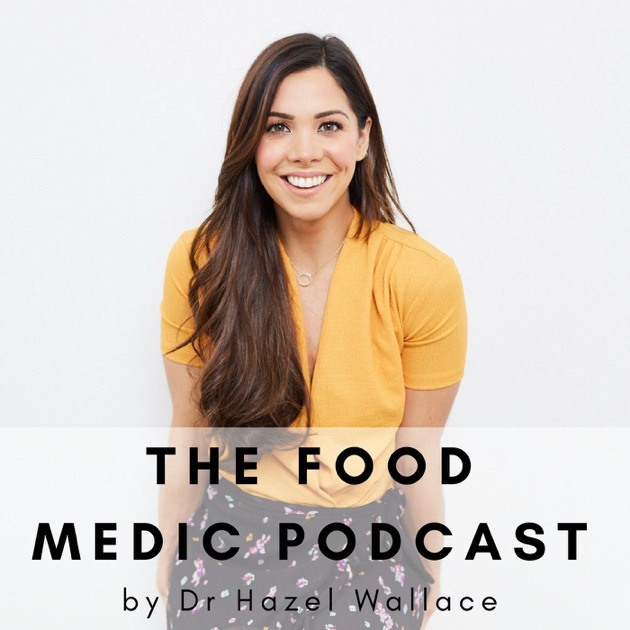 I’ve been lucky to meet Hazel Wallace (aka The Food Medic) a few times now, and I’m always so happy to be reminded how genuinely lovely she is in person, and passionate about her message, which echoes mine entirely! So obviously, I knew I would love her Podcast, but in fact, it’s more than that. It’s a first series of many I know (and hope! ), and is packed full of really interesting insightful guests, on a wide range of REALLY important health topics – from exercise for mental health, skin health and diet, clean eating and orthorexia, to my personal favourite, the final episode discussing nutrition and global health. That episode was just – LIFE. Everything I’m so passionate about, and really cementing in me my desire to pursue public health and nutrition. It’s accessible, really relevant, helpful health-related information, and it makes me so so happy that it’s reaching so much of the general public through Hazel. Keep it up girl – I cannot WAIT for Season Two. Oh my gosh, where to start with this one. 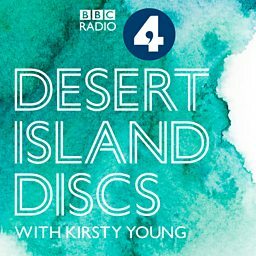 Kirsty Young, Scottich television and radio presenter, and famous host of this podcast since 2006, hits the nail right on the head with this series, which is on BBC Radio 4 as a programme. Each guest is called ‘a castaway’, and in each interview, they are asked to choose eight recordings (usually songs, and therefore, ‘the soundtrack of their lives‘), a book and a luxury item that they would take with them if ‘castaway’ to a desert island. The conversations take the listener through the life of the guest, and it’s just a fascinating listen always. My favourite guests to date have to be Ed Sheeran, Michael Buble, John McEnroe, Matt Smith and David Beckham. You’ll be hooked! 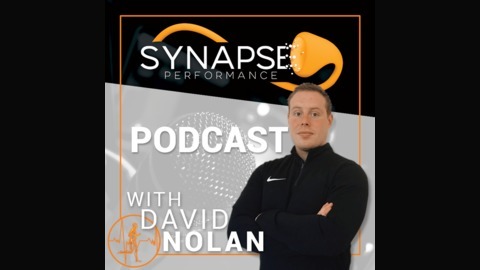 Hosted by David Nolan, the Synapse Performance Podcast is a new find for me in 2018, and it’s a very valuable voice of reason in the fitness and health industry. I actually met David in person recently while in University College Dublin for a conference, and we had a great chat and rant about training, nutrition, and the need for more voices of reason in an online world of myths and fads. David’s background is in Sports and Exercise Science, and is the founder and head coach at Synapse, and is currently working in food science research. I particularly enjoyed his interview episodes with Danny Lennon (host of the Sigma Nutrition Podcast), Dominic Munnelly and Alan Flanagan, as well as the Q&A episodes he has recorded. It’s a Podcast grounded in what the evidence tells us, not what the latest famous influencer does, which is the main reason I go back to it weekly for a new listen. It is a bit more in depth in terms of training and nutrition topics than others I listen to, but I’m a big nerd, so take a look and I know you’ll find episodes to take valuable learning from. Continuing with the Irish Podcast vibes, next up we have a great new Podcast from 2018 – this from Karl Henry! For those of you who don’t know, Karl is an Irish personal trainer, and one of the leading ones at that – with his own company, media profile and now Podcast, he’s a busy dude! I really enjoyed the first series of his Pod – topics covered included key health areas like sleep, and meal preparation, as well as really interesting guests including Hazel herself, Adam Clayton from U2, and my own namesake, Dr. Ciara Kelly! It’s fantastic to see an Irish podcast with such reach among the public get the popularity it did, and I’m delighted Karl brought light to so many vital lifestyle factors we can optimise for our well-being. Onto series two! So, don’t judge me for including a Podcast which includes ME as a guest (EEK! ), because that’s not why ‘Wandering Into Wellness’ made it into my guide. Recorded by Finn Murray (who runs The Hopsack, one of Ireland’s oldest, loveliest and longest running health stores) and Lydia Sasse (a Dublin-based yoga instructor), who are both such lovely, friendly, interesting people! I was lucky to meet them this year at an event at The Hopsack, and we got chatting about ourselves to get to know each other a little, and their plans for a Podcast too! When they asked me to do an episode this summer, I of course jumped at the chance – my very first Podcast interview, eek! But I loved doing it, and we just chatted all things health and wellness nonstop – you can listen to it right here! Wandering Into Wellness is focused on themes of health, wellness and natural living, and covers a wide range of topics from yoga, to cacao to apple cider vinegar! Fascinating stuff. Finn and Lydia also try to record each episode (weather permitting!) in the beautiful Irish green spots, which is awesome. Definitely get downloading! And thats it gang! Other podcasts I’m currently a newbie too but really enjoying are The No Nonsense Nutrition Podcast and The FFS Gym Podcast (a third Irish one!) Let me know your favourites, I would love to hear! As always, send your feedback and get in touch – I’m @theirishbalance on Instagram/Twitter/Facebook!